It's the Environment Agency's job to look after your environment and make it a better place - for you, and for future generations. Founded in 1961, its mission is ‘the raising of status and standards of the cleaning industry, through education’. BICSc, as it is known, is an independent body with members in all areas of the cleaning industry, including Local Authorities, Contract Cleaners, Manufacturers, Suppliers, Trainers and by no means least, cleaning operatives themselves. HSE's job is to protect people against risks to health or safety arising out of work activities. Provides advice, guidance and information on inspections and regulations. The green house provides businesses with tailored waste management programs to minimise their waste output and costs. If you want to swap links to increase both ours and your websites link popularity and your site is inline with our extreme cleaning or related topics then please contact us. By trading links, we can all benefit by increasing our placement in the search engine indexes. Once we receive your email we will check the page you link to us with and then add your site to our link list. 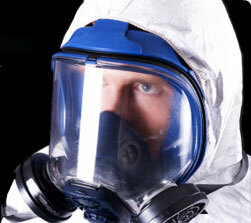 Description: A specialised biohazard cleaning company providing commercial property, and house clearances. © Active Extreme Cleaning. All rights reserved.